I arrived at the door of Alabama singer-songwriter Jason Isbell not, as I am guessing most folks may have done, via his previous employers the alt-Country band The Drive-By Truckers, but via Peebles-based Americana peddlers The Dirty Beggars and their cover of the man's tune Codeine. So it was perhaps not surprising I should have encountered three of the (presently on hiatus, I believe) Dirty Beggars at the O2 bar this evening. On another day, I may have briefly enquired what they were up to musically these days, but they were all in the company of a selection of pretty young women, and I felt the introduction of an overweight balding middle-aged man into their lives was probably not what they required just then. It had appeared on Isbell’s 2010 collection Here We Rest, and this album had been my first port of further investigation. “Daisy Mae. This hasn’t been your day”. If the quality control on the collection wobbled a touch after the first half-dozen songs, Jason could perhaps be forgiven, given the album had been written and recorded whilst he was (reputedly) in the midst of a decade-long Jack Daniels bender which had stretched back to his early days as a Drive-By Trucker. Now, Isbell is an assiduous creator of characters in his songwriting, and one cannot be sure if he is relating an actual event here, but either way his performance represents one of the most intense sessions of soul-baring placed on record since John Lennon’s Mother. The jaunty Stockholm was a lyrically clever composition again concerning the demon-drink; don’t think Sweden here, think Stockholm Syndrome. No topic appeared too grim for Isbell’s pen: terminal cancer, a serial killer and (another) child abuser all grist to the Southeastern mill. It was an utterly remarkable collection, made doubly so by Isbell deftly wrong-footing the listener by choosing to close the set by placing all of the preceding darkness into perspective with Relatively Easy. 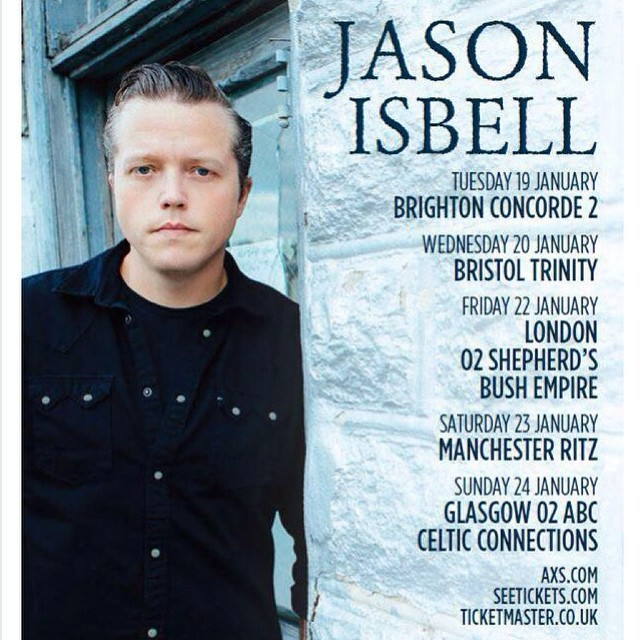 Which brings us I suppose to his latest release Something More Than Free, which for all the fact it heralded Isbell’s arrival in the mainstream album charts, does not quite live up to its predecessor, in my opinion. Too many of the songs appear to have Jason scurrying around looking for a voice: Flagship sounds like a Paul Simon throwaway, whilst Speed Trap Town veers towards a Nebraska-era Springsteen parody. Children of Children, his Neil Young homage, by contrast hits the mark perfectly, particularly so when Isbell lets rip with the slide guitar over the King Crimson-esque mellotron outro. But too many of the other songs, Hudson Commodore, To a Band That I Loved and the title track itself are competent enough pieces of writing, but which really fail to go anywhere of interest. How to Forget (a cautionary yarn of what can happen when your ex-wife pitches up unexpectedly) is great fun though, Isbell seeding his lyrics with a rare touch of humour. Another song from the new album, Palmetto Rose opened this evening’s set – a fairly up-tempo rocker with verse, chorus and outro so dissimilar as to give one the impression the whole composition may just have been bolted together from leftovers. But it works just fine. Fairly early on in the show we were treated to Decoration Day, the first of three relics from Jason’s Drive-By Truckers days – this trio all forged from a heavier metal. Isbell had been a huge Van Halen fan in his teens, and Never Will Change in particular came across like the ghosts of Lynyrnd Skynyrd jamming with Duane Allman. Codeine, used as the final encore for much of this European Tour, rather surprisingly pitched up halfway through the gig, and reminded me (if I needed reminding) what a wonderful dextrous piece of lyric writing it represents: funny, sad and oblique in equal measures. But the evening’s highlight was the stark Cover Me Up, the power and passion in Isbell’s voice flowing out over the enrapt and silent audience. And, in a manner not dissimilar to what I had witnessed at the Richard Hawley gig a few weeks earlier, the Glasgow crowd did their extended we-are-not-going-to-stop clapping thing afterwards – eliciting a sheepish grin from the singer. Surprisingly (or perhaps inevitably) it was the song to which I had most been looking forward which failed this evening: Children of Children. Isbell’s vocal performance was pitch perfect, but the swirling keyboard was mysteriously absent, and Jason’s geetar blowout never really caught fire as it does on the album. But this was a minor blip. My prime disappointment of the evening was due to the songs I did not hear: Tour of Duty, The Life You Chose and Relatively Easy. Jason is a notorious setlist shuffler, and I knew these delights had been aired to the lucky blighters at the London O2 Forum gig a few days earlier.